Double the size; many times the entertainment. Play, talk, listen. The double-din (which means it fits into a size twice that of a normal car radio) FH-P80BT is your communication and entertainment hub. Make and receive calls wirelessly, as well as stream music: the FH-P80BT supports both �hands-free' and �audio' profiles from your mobile phone. This means that you don't need any additional in-car kits, cradles, wires or headsets. The FH-P80BT will play your entire music collection as well, supporting every audio file format. 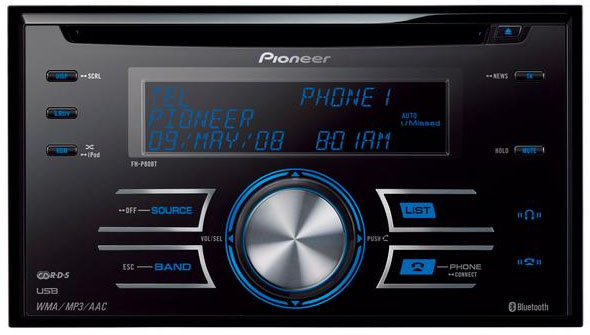 Hook up your iPod, USB music source or portable audio player, and control them directly from the CD Tuner. 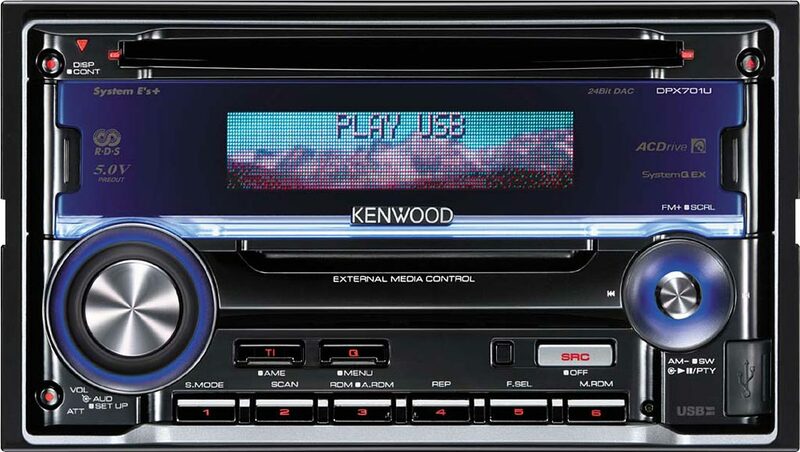 You can control this CD Tuner with its �Rotary Commander', which works very much like a joystick - essential for navigating through your WMA, MP3 and iTunes audio files. The FH-P80BT also has 3 RCA pre-outs, so you can boost your in-car set-up with additional amplifiers, subwoofers and speakers. 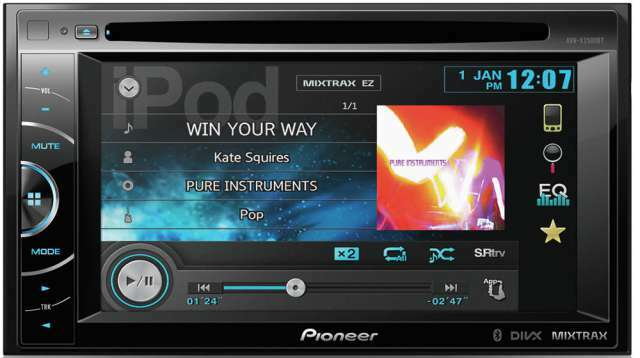 Whichever audio format you play, and however you build your in-car setup, you can be assured of high quality, pure audio, customised to your needs. The FH-P80BT has a 7-band graphic equaliser which you can use to best match the equalisation levels to the acoustics of your car.